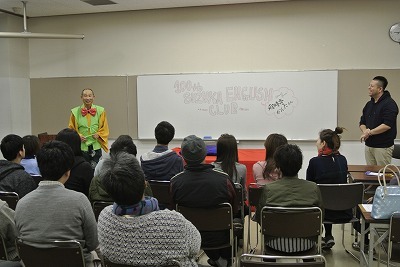 to portray all the characters and using only a fan & handkerchief as props to creatively represent a variety of objects. 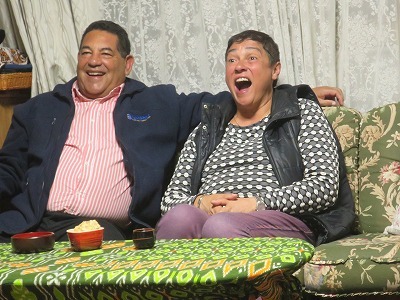 Guest from Cape Town in South Africa.We had a wonderful time. 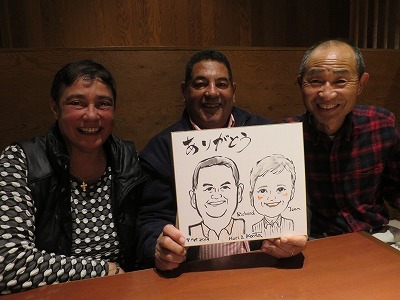 Thank you for being our guest, Jean and Richard! 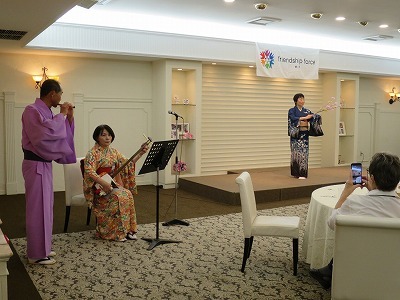 Our club host Friendship Force of South Africa . 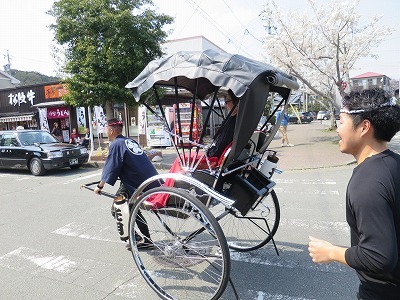 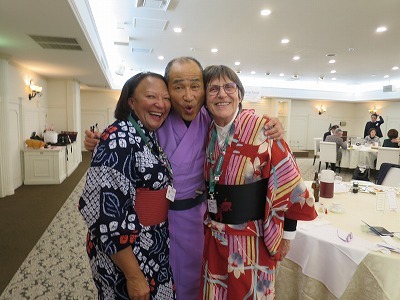 They are very very cheerful and kind . 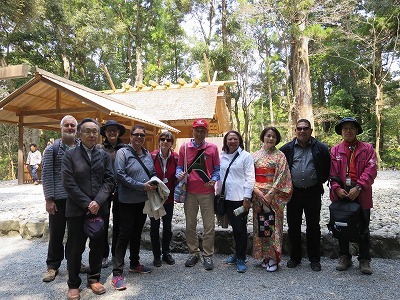 We are happy hosting them. 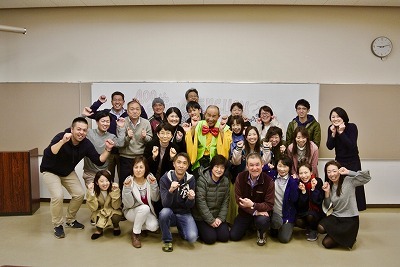 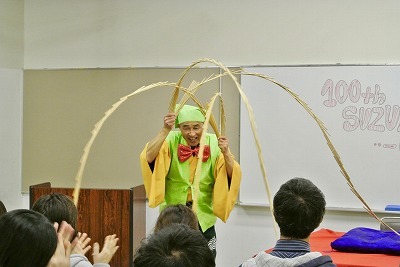 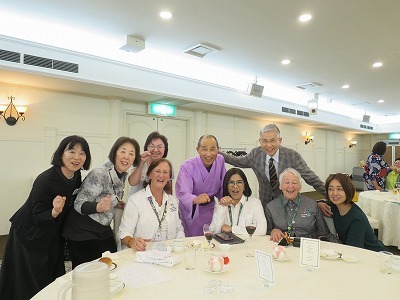 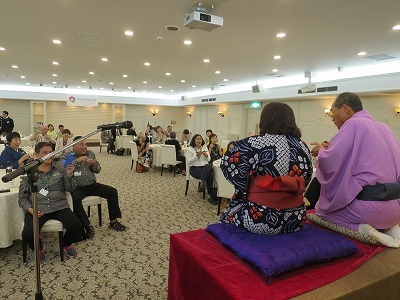 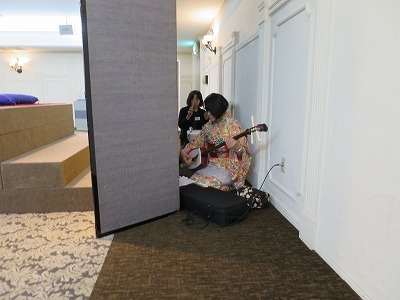 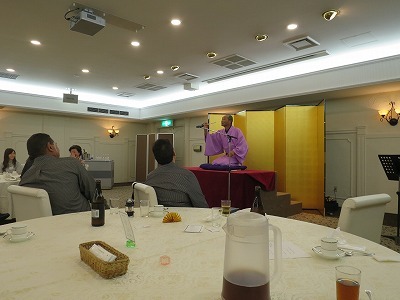 I performed rakugo at the farewell party. 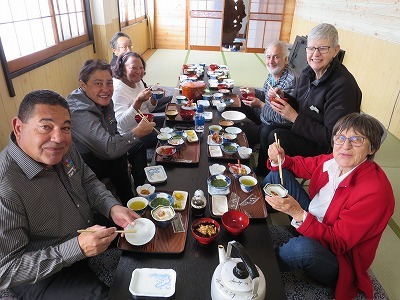 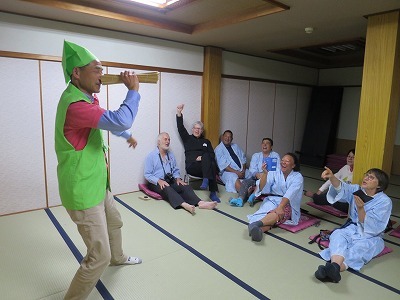 We went to one night stay in a inn in Toba with FF of Cape Town members. 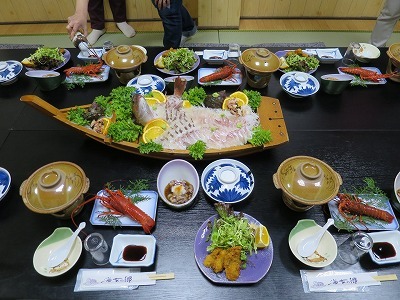 We enjoed sea food and cherry blosssms very much.And visted Ise shrine. 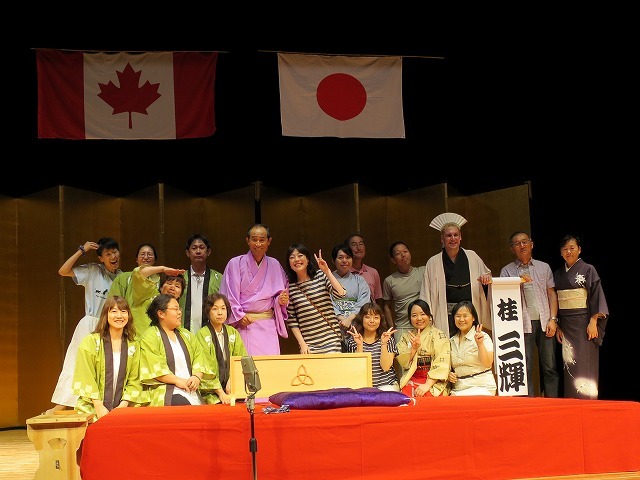 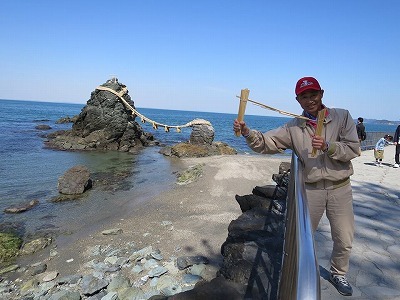 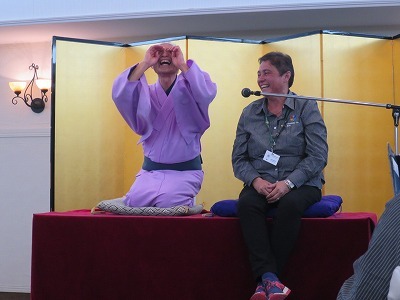 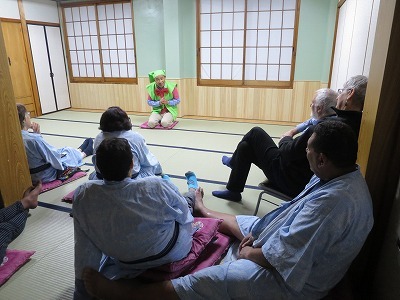 ’m happy to have such a opportunity to perform rakugo. 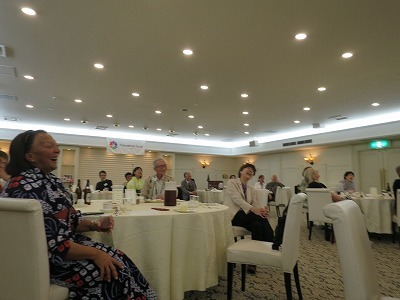 They laughed a lot. 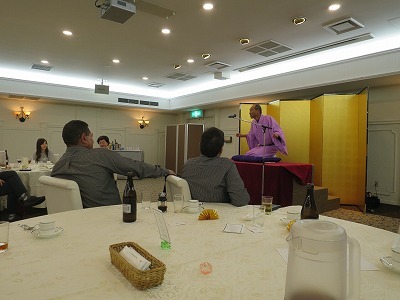 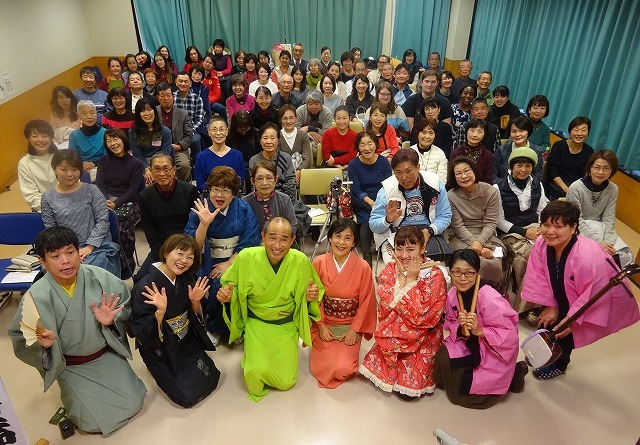 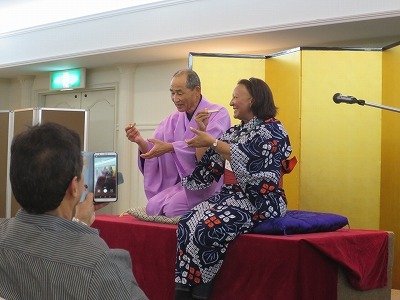 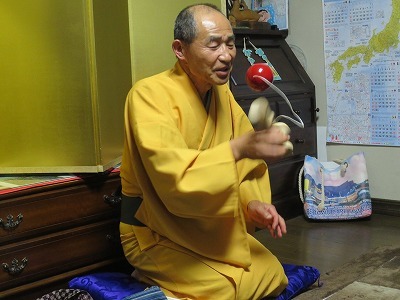 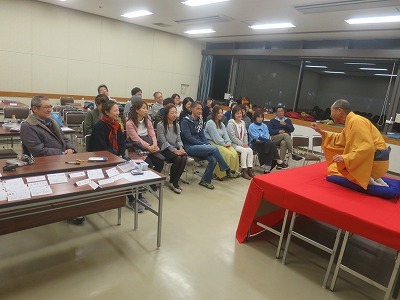 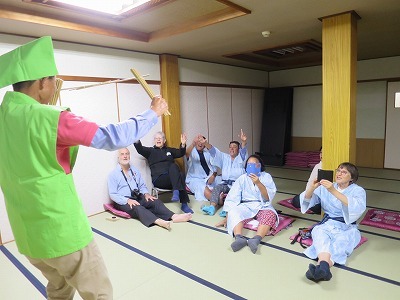 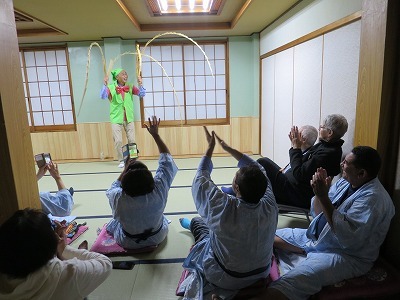 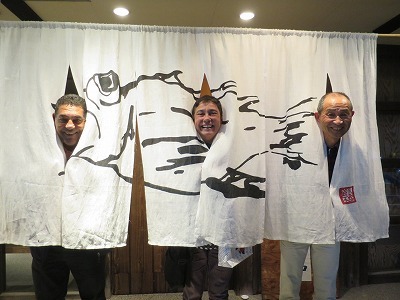 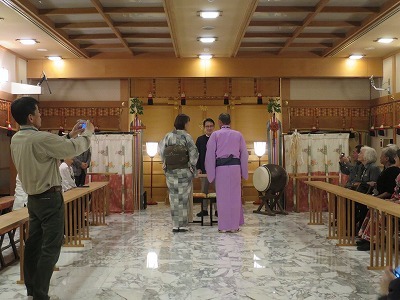 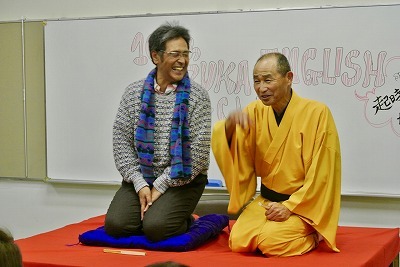 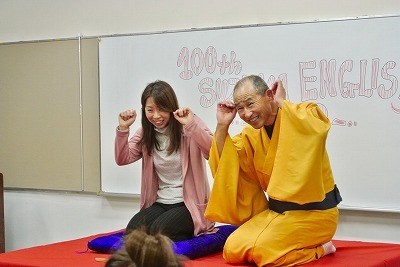 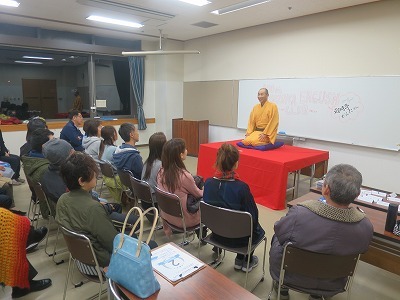 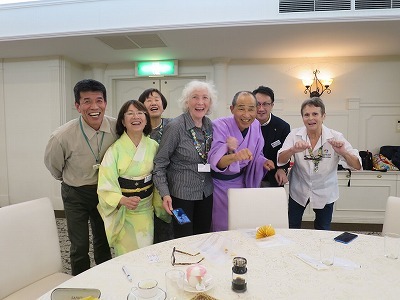 I also enjoyed performing rakugo with them. 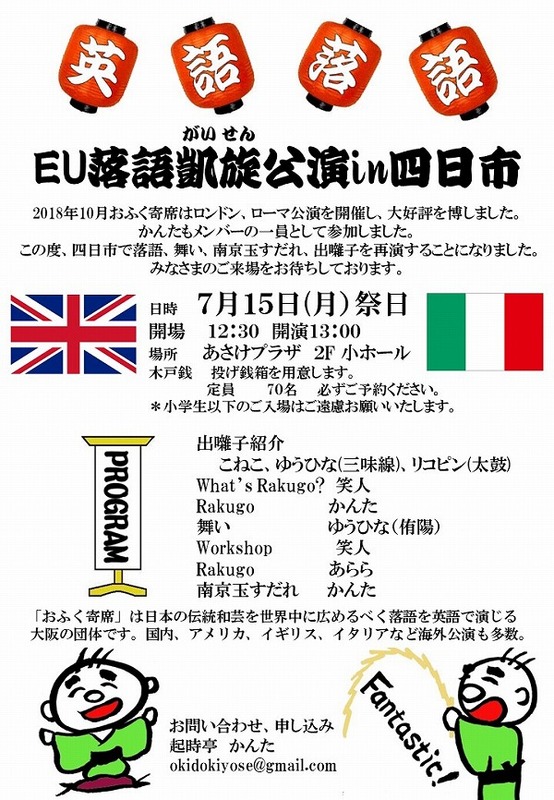 Copyright © 英語で笑おう　起時寄席 おきどきよせ All Rights Reserved.